Today, Grade 11’s participated in our Numeracy Assessment Facilitation Day. They were shown what they can expect to see on the *newly* implemented Numeracy Assessment that starts this June. 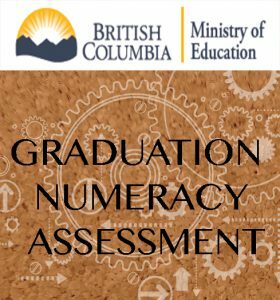 Check out the new section on the right side of our home page that houses any handy information our Numeracy Assessment Committee has come up with to help ensure our students’ success with this new Graduation Requirement.